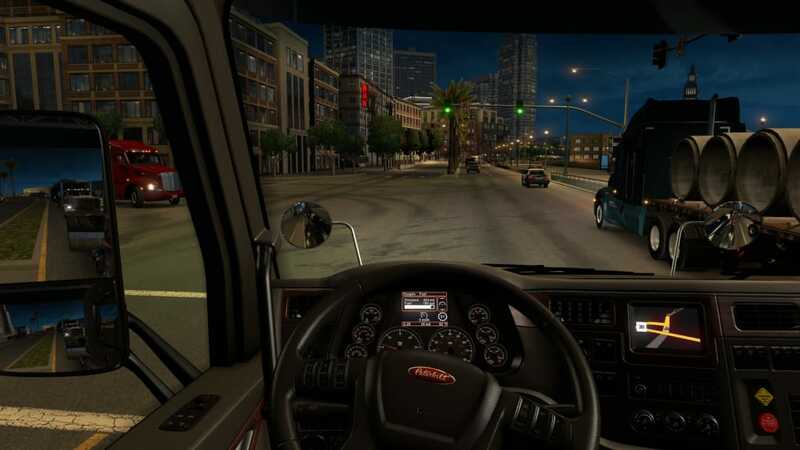 You would be hard pressed to find differences between American Truck Simulator and its European predecessor. The game is basically unchanged: start as a freelance driver, earn cash, buy your own truck, and build your own delivery company. 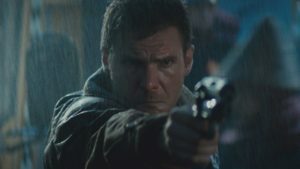 But here, perhaps more than any other franchise, a change of setting is enough. There is a romance to touring from coast-to-coast of the US listening to country music on your streamed internet radio. So, even though the game’s accomplished physics and driving model remain unchanged, the idea of pulling cargo the full length of Route 66 feels inexplicably different. Or at least it would, because currently American Truck Simulator only provides you two of the USA’s fifty States: California and Nevada. 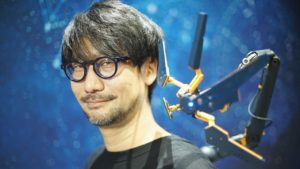 Of course, these two States represent a considerable landmass and can take hours to cross from side-to-side - even in the game’s entertainingly shrunk down world. Unfortunately, this does prevent you embarking on some more iconic journeys. 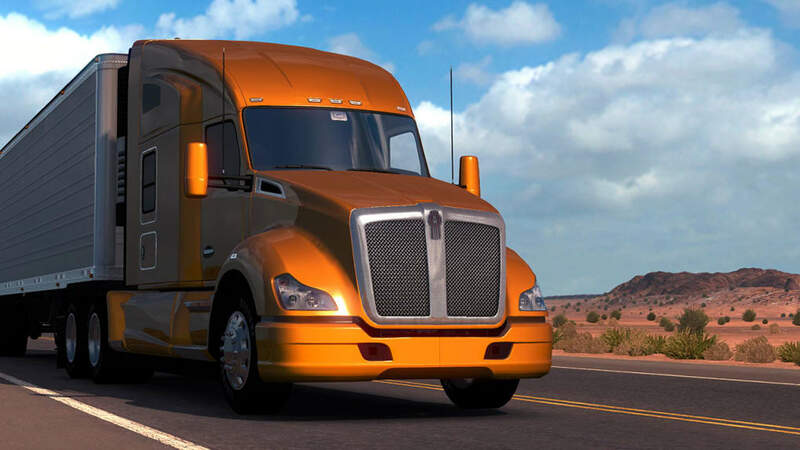 It is still early days though and SCS Software is intending to release more States as downloadable content - which goes some way to explaining American Truck Simulator's budget price. Plus there is sure to be a wealth of community mods. The world looks incredible, with the game managing to make driving around its natural environments, suburban sprawl, and inner cities all look and feel distinctly different. Driving around the day-glow streets of Las Vegas, neon surrounds you and the streets are filled. This is in contrast to sand scrubbed Bakersfield, where you have time contemplate the wide open spaces around you. Though the traffic looks less impressive, the trucks – particularly their interiors – are well modeled. 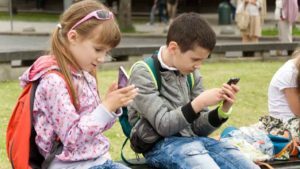 This gives you a good sense of grounding, because you regularly find yourself looking around the cab to get a better look at mirrors and other feedback. 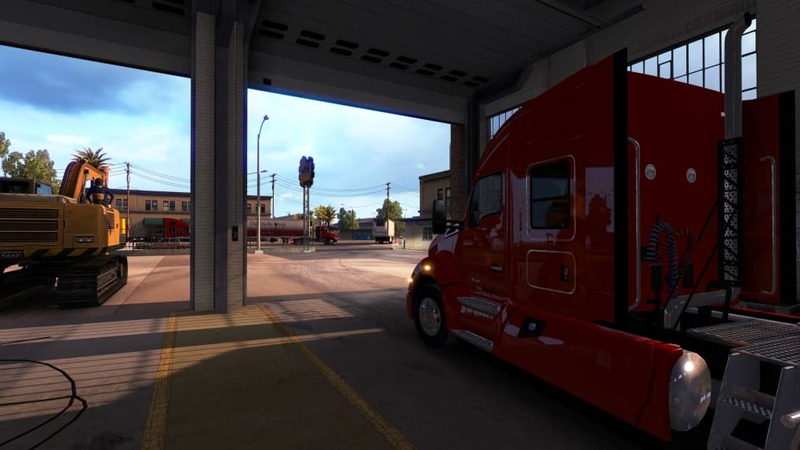 Whether you chose to control the action with a pad, keyboard, or wheel, American Truck Simulator walks you through a wizard to ensure you are prepared before heading out. My advice, stick to the automatic options – at least at first. You are going to have enough to do while you learn how to deal with the trailer, GPS, and other options. Purchasing new trucks and establishing your haulage company is managed through a straight forward menu and explained by comprehensive tutorials. These add depth and focus to the action as you grow your empire and manage its finances. It isn’t compulsory though, so if you want to stick to your freelancer life - earning experience to haul better cargo longer distances and enjoying the oddly calming driving experience - then you can. 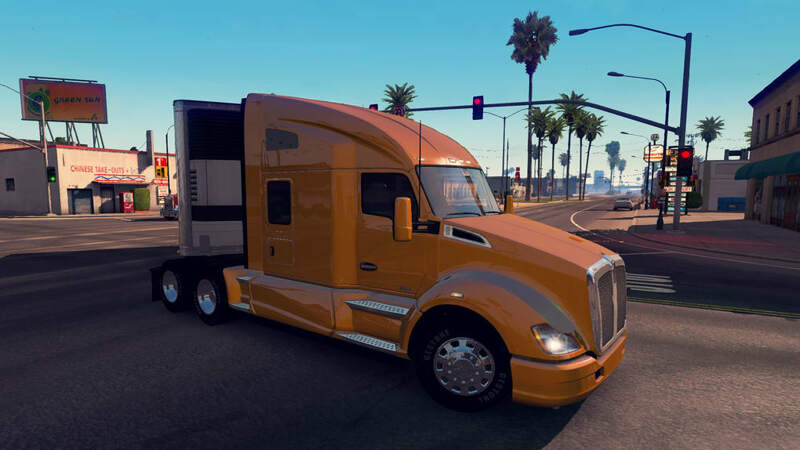 American Truck Simulator continues the series' fine lineage and comes at a fantastic budget price. 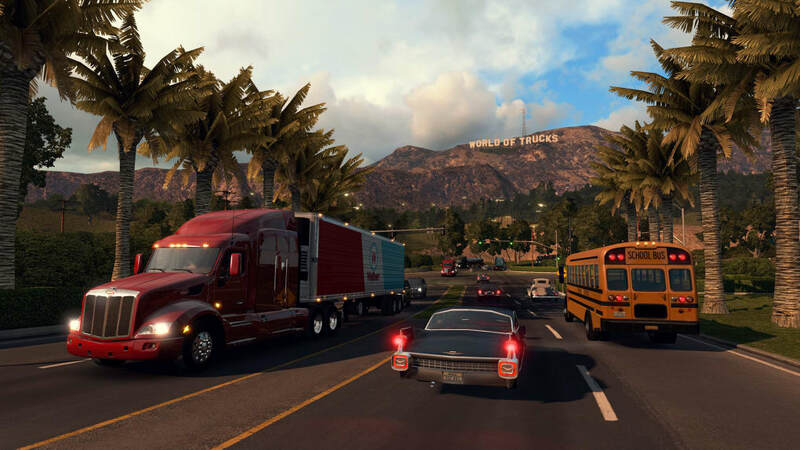 For newcomers to the haulage genre it should be mentioned that, in a direct comparison, the final release of Euro Truck Simulator 2 with all of its DLC is a far larger game. But, size aside, the new setting does have a certain magic to it - especially when you have country music blaring from your speakers. Expected for more. Good graphic and driving feeling but expected for more states. Looks more like an addon to ETS2 and not a independent game. some minor details missing.. its a good game but lacks in some points as compared to someother games such as this. Pros: great graphics. can be played by anyone of any age. its not hard enough even if its got loads of trafic. 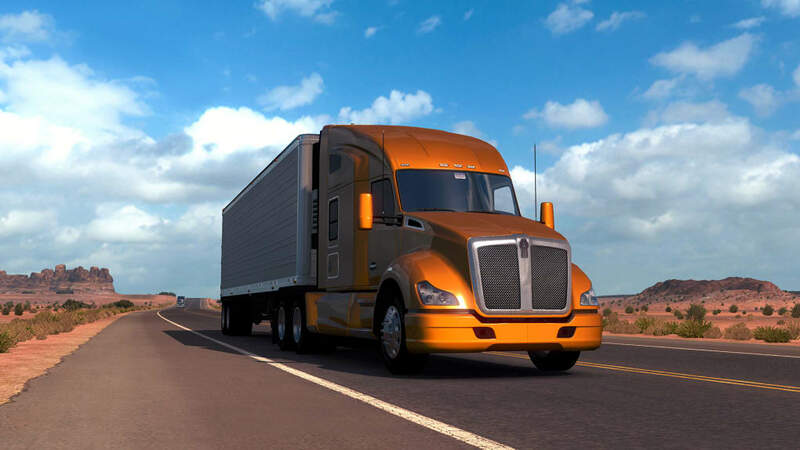 What do you think about American Truck Simulator? Do you recommend it? Why?